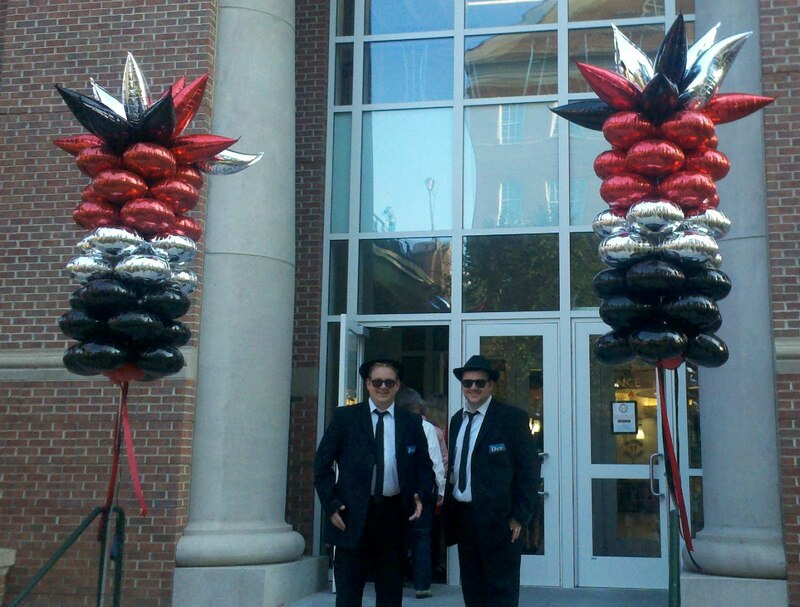 Joette Giardina, Owner of Party People Celebration company was asked to design the room decor and oversee the installation of all balloon decor for the Ballooniversity Friday night celebration held at the University of Georgia Tate Center. 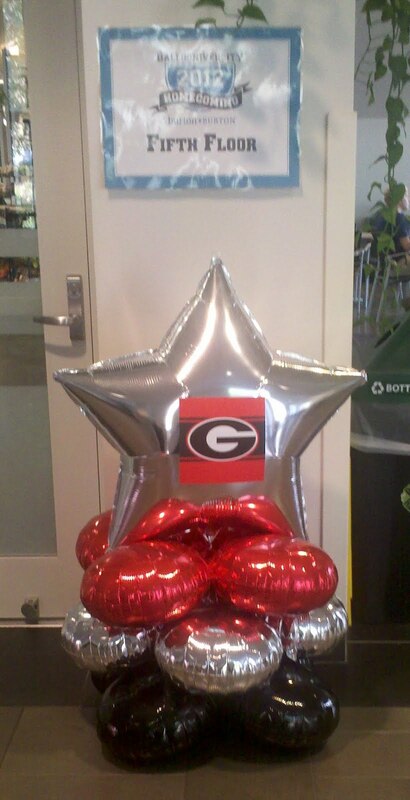 3 ft Star with Georgia Decal mini column under signs direct everyone to the 5th floor ballroom. 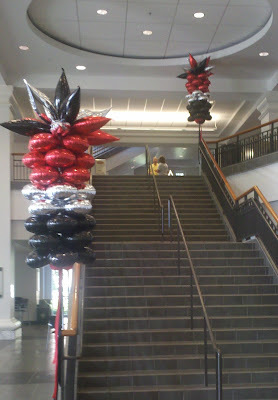 2 more columns attached to the staircase direct people to the Taste of Athens event. 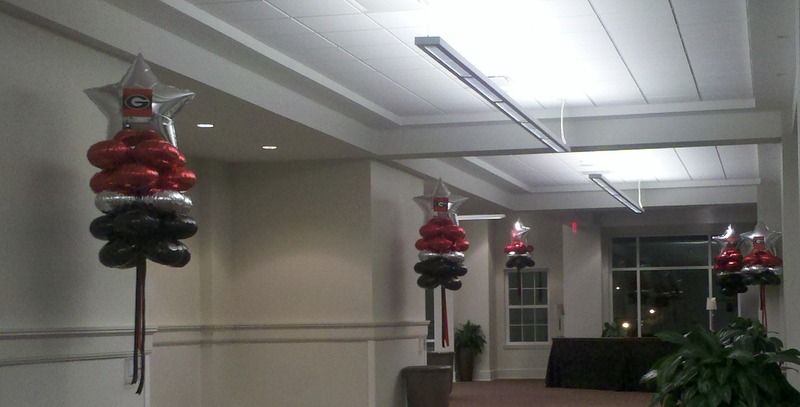 3 ft Star Chandeliers with Georgia logo continue the theme of a night at the college campus. 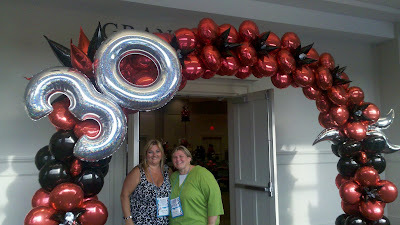 Bonnie Fisher and I under the specialty arch that Bonnie and Jane Driscol designed celebration Burton and Burton's 30th Anniversary. 18 Columns with Taper and curve topper accents were installed. 40, 3 ft Silver stars with University of Georgia Logo in the middle were installed from the ceiling in the room and hall. 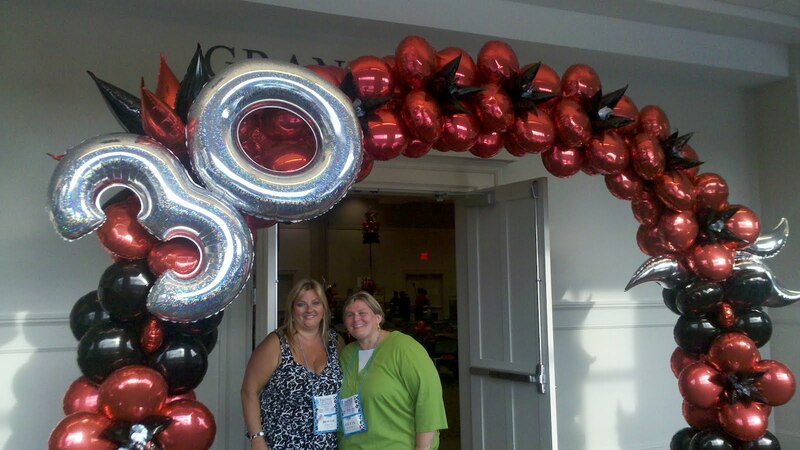 I enjoyed working with the Burton and Burton Staff, and my Balloon Pro friends, Lisa Talip, Bonnie Fisher, Jane Driscoll and Su Lawick to complete the room decor. 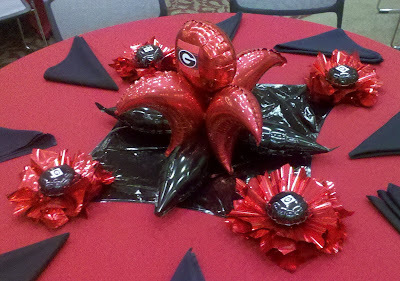 Centerpieces design by Peggy Williams, Burton and Burton Director of Education, and created by Ballooinversity instructors for the Taste of Athens event.